The Delta State University (DELSU) management approved the list of approved candidates who applied for admission through the UTME and were successful in the screening exercise for the 2018/2019 academic session. Candidates whose names are listed below have been provisionally admitted to the various 100-level courses listed at the university for their academic session 2018/2019 by their names. 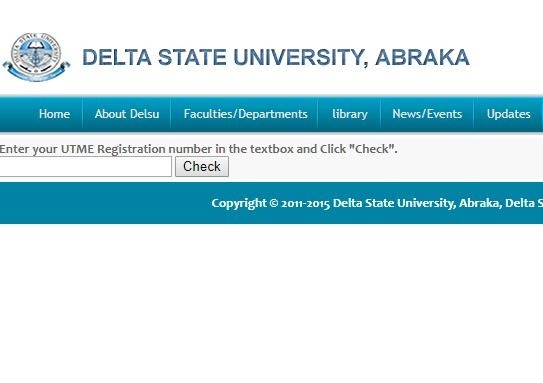 This is intended to inform the general public that Delta State University Abraka (DELSU) has completed its UTME preliminary study and nominated candidates for the first, second and third lists. Candidates should therefore not switch the university to DELSU. Complete the following steps to check the approval status on the DELSU access status portal. Click "Check" to access your approval status.